Travel demand has grown significantly in Delhi. How people choose to travel will decide the severity of pollution and congestion caused by traffic and, ultimately, liveability of the city. If people choose to use more cars and two-wheelers, the scary trend in pollution and congestion will become irreversible. This is a serious concern, given the rapid increase in trip numbers in the city. According to the 2021 Master Plan of Delhi, the per capita trip rate (excluding walk trips) of Delhi has grown from 0.72 in 1981 to 0.87 in 2008. This means that the total number of daily travel trips has increased from 45 lakh in 1981 to 118 lakh in 2001 and 144 lakh trips in 2008.1 This is projected to increase to 280 lakh daily travel trips by 2020. With an average trip distance of 10.2 km and growing travel intensity, only augmenting road capacity for vehicles will not help. 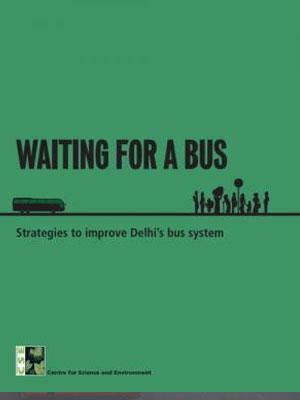 Delhi needs to reinvent its public transport system to expand the people-carrying capacity of roads. However, a growing body of evidence suggests that there is already a massive slide in the share of public transport ridership in the city. Public transport’s share in the ever-increasing travel demand has been continuously declining since 2001 and is projected to drop even further in the years to come. The share of all public transport has reduced from 64 per cent in 2001 to 54 per cent in 2010. At the same time, the share of all personal vehicles has increased from about 40 per cent to about 46 per cent (see Table 1: Overall modal share of public and personal transport in Delhi and Graph 1: Modal share of all forms of transport in Delhi in 2010).